Is anyone else in the dark about their Bob Bondurant driving class? A few months ago I signed my wife and I up for the Fiat Trackside experience on December 21st. After I learned of the school closure I tried reaching out to the school using the email/contact information provided, but I haven't received any responses. I have heard different things from different sources whether the school is closed temporarily or for good... has anyone else received any communication from the school? Any luck obtaining a refund? Definitely looking for help on this one. Call the SRT helpline directly if your using the $1000 dollar voucher. There is a big thread on the issue at Hellcat.org. Latest is that they are back open. 2016 SRT 392 A8, Go Mango w/Satin Black Hellcat Hood and Mopar TA CAI, Tech package, Napa, Sunroof, Scott Drake Black billet fuel door, KW Adjustable Springs, BWoody Sway Bar End Links, Scott Drake Front Shock Tower Brace, Billet Tech Catch Can, Downforce Solutions Front Splitter and Wickerbill, Akrapovic CF Exhaust Tips, Xpel 20% tint. Thank you for the information!! I went ahead and shot Danny an email. Glad to hear their doors have reopened - hopefully they will be able to get their finances in order and continue to operate in the long term. 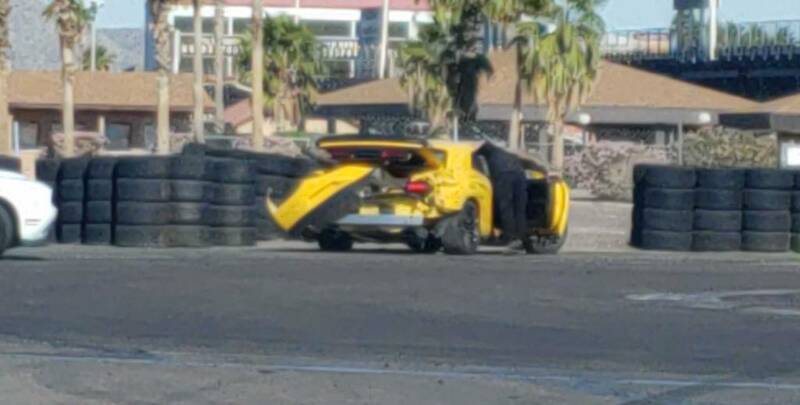 Don't know if all the classes are running and think about the insurance if you go, somebody put a Hellcat in the tire barrier the last day they were open and all the $$$ damage is on you if you crack one up. Another guy said he turned a car down because of worn tires. These cars need constant maintenance and mechanical checks so they need to have everybody back. Good luck. I read where someone on the inside said Bondurant's wife had 51% controlling interest in the company and trashed it out of spite in a divorce. Just passing on what I read but makes some sense. That sounds about right... women, can't live with 'em... can't shoot 'em. 2012 R/T Classic 6M; STP; Barton Shifter; CDV delete; Skip Shift Eliminator; Blastin' Bobs' axle back Magnaflow resonators; DiabloSport i2 tuner w/Hemifever custom tune; Mopar hood pins; Petty's Garage front strut brace; Tungsten Metallic Clear Coat. Wow!! I did get the insurance - wasn’t even aware that it was optional. I’ll make sure to check the tires prior to getting in the car. Even with the insurance the deductible is $8,000 so be careful!